The rare collaboration among five minority weeklies aims to open dialogue and perspective during the city’s financial crisis and recovery. Five ethnic and minority publications that are deeply tied to Detroit are joining forces for the first time to explore the city’s financial crisis in a series that will run over the next several months. 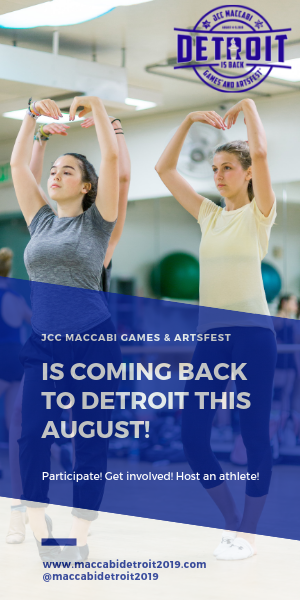 The Michigan Citizen, The Jewish News, The Michigan Korean Weekly, The Arab American News and Latino Press aim to delve beyond mainstream media reports to highlight the economic effects on their respective communities and open dialogue for inclusion, partnership and regional success. The collaboration, a part of the Detroit Journalism Cooperative, is funded by the John S. and James L. Knight Foundation, Renaissance Journalism’s Michigan Reporting Initiative and the Ford Foundation. The minority papers are members of New Michigan Media (NMM), formed by Wayne State University professor Hayg Oshagan, to promote editorial community among different ethnic and minority groups. “This is a unique collaboration of ethnic and minority newspapers, working together to advance issues of the diverse communities that make up the Detroit area. And minorities are going to be a key factor in the rebirth and revitalization of this region. They have always been, and are now, a powerful resource in the economic growth of Michigan,” Oshagan, NMM Director, said. For African American residents, who comprise a majority of the Detroit population, the city’s bankruptcy is significant. Kelly says helping struggling Detroiters means improving essential city services, such as the heavily relied upon busing system. Additionally, she calls for demonstrable regional cooperation and close inspection of Emergency Manager Kevyn Orr’s decisions. A large portion of the approximate 400,000-member Arab American community in southeastern Michigan lives in Wayne County, with many highly vested in Detroit, said The Arab American News Publisher Osama Siblani. “A lot of Arab Americans and Chaldeans have businesses in Detroit and they started their businesses when everyone deserted Detroit…They invested not only their money” but sometimes “their lives,’” Siblani said, referring to a March 14 article in his publication of slain Arab American and Chaldean proprietors. These small businesses, such as gas stations and party stores, need to be supported during the bankruptcy and not bogged down by petty code enforcement or overlooked in favor of larger organizations, he said. Although about 80 percent of the approximately 72,000 Jewish residents in the region live in Oakland County, a majority of the population has close ties to the city of Detroit, The Jewish News Publisher Arthur Horwitz said. “For those families that achieved the American Dream here, many became philanthropists, investing in the city’s institutions, such as Wayne State University,” Horwitz said. “Others have invested their time and energy volunteering at the grassroots level. A more vibrant and modern city and region will lure younger Jewish professionals back here, he said. For years, Asian Americans have invested in the city of Detroit and the region but are often overlooked for their contributions, The Michigan Korean Weekly Publisher Tack-Yong Kim said. “They have never been recognized as a key role player for this region,” he said. Despite the perception, the roughly 200,000 Asian Americans in southeastern Michigan often contribute to the local economy as business owners in a variety of industries. Among 16,000 Asian American small businesses in the state, there are hundreds of Korean-owned beauty supplies within the city of Detroit, he said. These relationships are critical in the emergence of a stronger, more robust economy in the city and beyond. And, many Asian Americans are closely watching the bankruptcy and its implications for them, he said. Latinos in Detroit are closely affected by the city’s financial crisis as a core group of residents creating business, raising families and staying in the city. Those estimated 80,000 people face daily obstacles like discrimination, poor city services and frustration with a city that has a history of political corruption, Latino Press Publisher Elias Gutierrez. “Today, Latinos still are being discriminated and abused for being undocumented immigrants because they speak English poorly and because they are willing to work even with low pay,” Gutierrez said. Many Latinos have left Detroit for nearby cities–with about 200,000 Latinos living in the region–while others remain hopeful the city will change. That type of transformation could be offered in the form of tax reductions and subsidizing home or business purchases through grants incentives and creating a more open government that thrives on technology and skills, he said. Check back in following weeks for more stories in this series, focusing in greater depth on each of our communities. Michigan Gov. Rick Synder’s proposal to jump start Detroit’s economy by bringing 50,000 immigrants to the city on work visas over the next five years was met with praise and caution by ethnic and minority publishers. They welcomed a more diverse Detroit, but stressed city services and safety must improve and immigrants must not face discrimination. “(The) governor is doing the right thing, but should expand the plan” to provide opportunities “for undocumented immigrants who are already here so that they can buy properties in Detroit, live in them and maintain them” among other efforts.- Elias Gutierrez of Latino Press. Five minority media outlets with a combined estimated circulation of 120,000 weekly–Latino Press, The Michigan Citizen, The Jewish News, The Michigan Korean Weekly, The Arab American News—are part of New Michigan Media and are taking part in The Detroit Journalism Cooperative (DJC). Funded by the John S. and James L. Knight Foundation, Renaissance Journalism’s Michigan Reporting Initiative and the Ford Foundation, the DJC aims to report about and create community engagement opportunities pertaining to the Detroit bankruptcy and recovery. Each article in the series will appear in all the NMM member newspapers. The DJC is a unique collaboration between important media outlets of the region, and includes The Center for Michigan’s Bridge Magazine, Detroit Public Television, Michigan Public Radio, WDET and New Michigan Media. 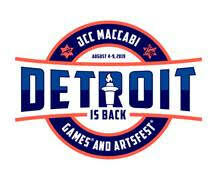 The Detroit Free Press is also participating in the DJC effort.